It’s widely deemed that most buildings ought to be rewired every twenty-five years, nevertheless as previously mentioned with good maintenance and regular assessments property owners could easily expect up to forty years, with no need for rewiring. A question many homeowners ask is “does my property need rewiring?” and if so “how expensive is it to rewire a property?”. True Electrical & Mechanical Ltd offer extremely competitive rates for rewiring. Regrettably it is extremely hard to offer precise quotes without having a site visit, but rest assured we offer free of charge written, no obligation quotes. As no two tasks are the exact same there’s no set fee for rewiring a house. If you require any electrical rewiring services, full or part rewire... Call us today! House rewiring is a huge commitment to property owners, but crucial in sustaining a secure surrounding for yourself and your loved ones. Keeping the electrical installation up-to-date with the current I.E.E Wiring Regulations lessens the potential risk from electric shock and house fires. Most building and content insurance plans contain mandates that state that properties have got the current certification confirming that the electrical installation is safe. Failing to produce a electrical safety certification can lead to the insurance companies deeming policies to be void. 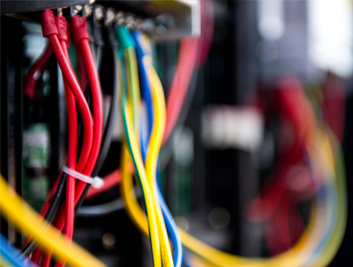 True Electrical & Mechanial Ltd have been offering rewiring for more than ten years and possess substantial experience and expertise in undertaking rewiring jobs. We pride ourselves on providing unmatched electrical service and make every effort to minimise any inconvenience. Using our expertise we endeavor to minimise any damage to existing decor. We have the up most respect for our clients as well as their property, and endeavor to carry out all works in a tidy and clean manner. We are pleased to provide free of charge quotes on request, give your local electrician a call today regarding any electrical rewiring service!